Next message: [Michlib-l] MAP Is Everywhere Including, Beaver (and Keweenaw) Island!!! And, (BIG) New Venue Coming!!! Good morning. In support of the public library/Secretary of State partnership and as a service to your patrons, please consider sharing the following news item via your website, newsletter or other communication channels. You'll also find an image attached to this email  that you can  use with this article. Much thanks! 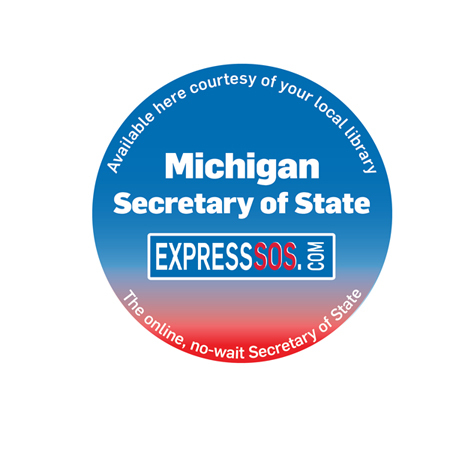 Have you tried the online, no-wait Secretary of State at ExpressSOS.com<http://ExpressSOS.com>? With its Print & Go option, you can renew license plate tabs in minutes and print a receipt as proof of registration until your tabs arrive. You can also go online to renew or replace a driver's license, change your address, replace a vehicle registration or title, renew watercraft registrations and join the organ donor registry. Save time and go online!